Contact Sheet takes the drudgery out of ransom notes. If you work in a spirit-crushing cubicle farm and can’t remember the innocent joys of childhood, here’s a compromise: Get a cube farm playset, including office furniture, a meaningless job title generator (“Domestic Engineering Associate”), and downloadable decorations. If that’s not highbrow enough for you, theory.org has Lego versions of social theorists Judith Butler, Anthony Giddens, Angela McRobbie, and Michel Foucault. Post-structuralism sold separately. You might want to bring a baseball bat, just in case. 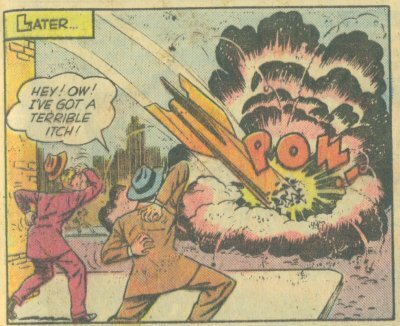 Gone And Forgotten honors great moments in bad comics.